This article needs either a photograph or screenshot of the title screen to improve its quality.  Sonic the Hedgehog 2 is a downloadable version of the Sega Mega Drive game Sonic the Hedgehog 2 released for the PlayStation 3's PlayStation Network as part of the "Sega Vintage Collection" series. It has extra features that the Sonic the Hedgehog port didn't have, like online play. Since the game uses a custom title screen it is not possible to enter any cheat codes. It also lacks the option for a second player to control Tails in the one player mode. This page was last edited on 19 March 2019, at 12:42.